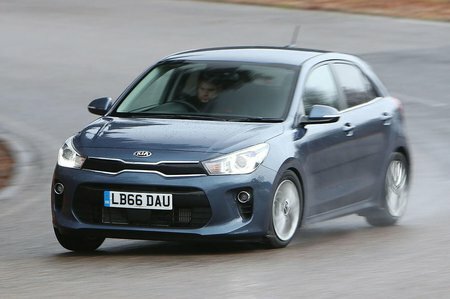 Kia Rio 1.0 T GDi 118 GT-Line 5dr 2019 Review | What Car? What Car? will save you at least £878, but our approved dealers could save you even more. Currently only available in top-spec First Edition trim, this engine comes with a six-speed gearbox and only emits 5g/km more carbon than the less powerful 1.0-litre. As you have to work it really hard to notice the extra power, we’d stick to the 99bhp lump.